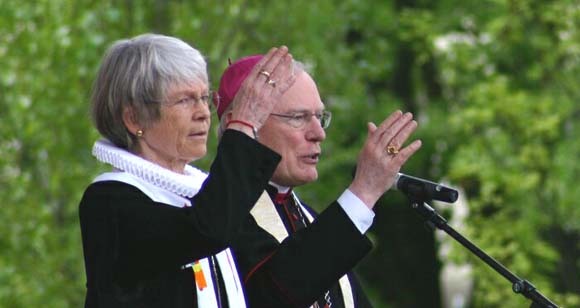 Above, Archbishop Werner Thissen of Hamburg, Germany, gives a blessing together with Lutheran bishop Maria Jepsen during an ecumenical service on May 1, 2008. 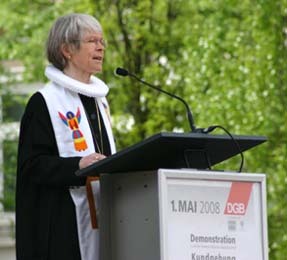 The Archdiocese of Hamburg, the German Workers Union (DGB) and the Lutheran church came together to promote a joint commemoration of workers' day. 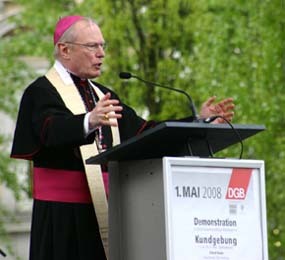 The festivities included an ecumenical service attended by some 1,500 people in which the representatives of the Catholic Church and the Lutheran sect spoke as equals, below first row. The blessing was given at the end of that service. 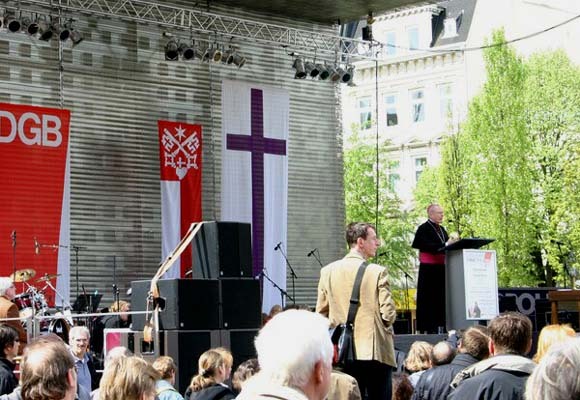 In the second row, we can see the three banners hanging from the wall behind the podium: the DGB's, the symbol of the Archdiocese of Hamburg and the cross of the Lutherans.